Rugged landscapes. Charming people. Spectacular Big Five. Zimbabwe is carving out a new future as one of Africa’s unparalleled crowd-free, classic safari destinations. 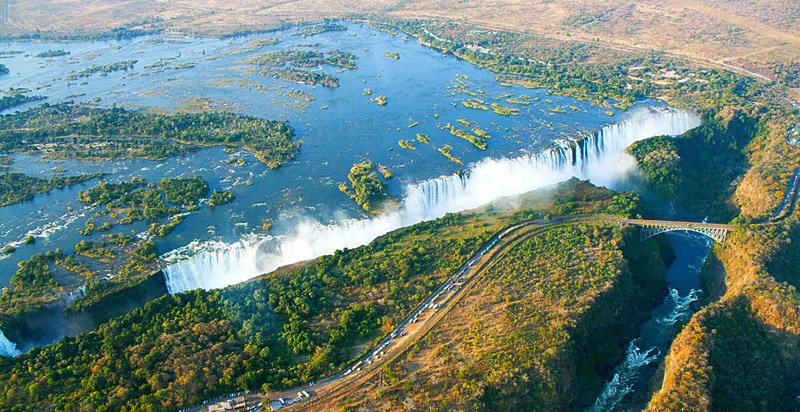 Then there’s the Victoria Falls – the most mesmerizing views are from Zimbabwe. Zimbabwe’s greatest strength is in the quality of its Guides, respected across the continent for their professionalism. walking safaris, canoe trails and Big Five safaris with visits to Victoria Falls. Hwange National Park, is the pride of Zimbabwe. Home to the Big Five, offers fantastic predator action and is a breeding ground for the African wild dog. Bird watching is outstanding. Travel deeper – to the classic Mana Pools and it’s hidden gem, the Chitake Springs; Matusadona National Parks, Lake Kariba, the remote escapes of Gonarezhou National Park and the mesmerizing landscapes of Matobo National Park accessed from Bulawayo. Luxury safaris and affordable tours. Zimbabwe is as authentic a wilderness experience as you will ever get.